The Nightmare Before Christmas. 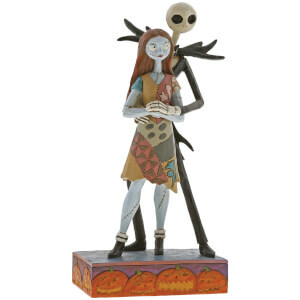 Jack Skellington glides atop tombstones as he sings a haunting melody, but little does he know Sally is watching the delightfully frightful scene. Handcrafted and hand-painted, this new vinyl figurine from Grand Jester Studios captures The Pumpkin King's existential angst in intricate detail. Presented in window gift box packaging. Not a toy or children's product. Intended for adults.